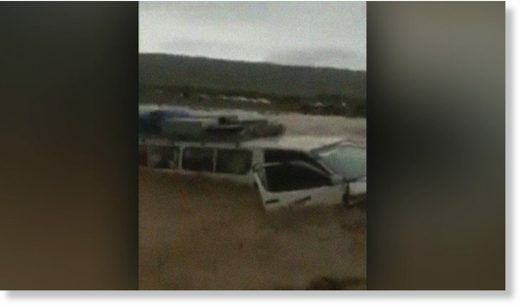 At least four people died and one injured as a flash flood “system” — that entered Balochistan after wreaking havoc in Iran — swept away a car Saturday evening in the Pishin district, authorities said. According to Levies officials, the flood in Khanai Baba River hit the car of Abdul Noman and his family, all residents of Kuchlak and who were on their way to attend a wedding in Khanozai, and swept it away in its strong currents. Abdul Noman, alongside his grandchildren Ubaid Khan, Saraun Khan, and Saffan Khan, were all in the car when the flood took it and declared dead later. A woman nearby was injured but saved by the rescue personnel. The woman who was saved was transferred to a local hospital and was being tended to.